Native Instruments' Traktor Kontrol S4 MK2 gives digital DJs like you the options, control, and portability you need to perform like a pro anywhere. 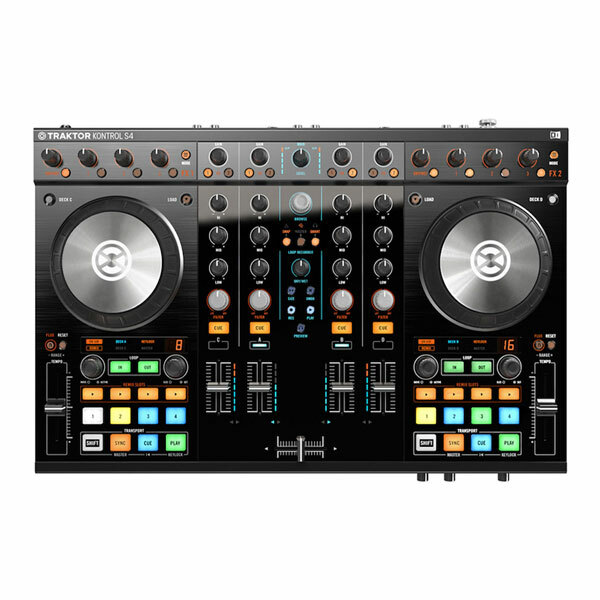 This amazing 4-deck DJ system pushes the envelope of hardware/software integration, providing you with a DJ rig that performs like standalone hardware but offers the extreme flexibility of software. Juggle beats, fire off loops, add effects, and scratch with absolute confidence. Whether you're remixing in the studio or performing live this is a great little unit.